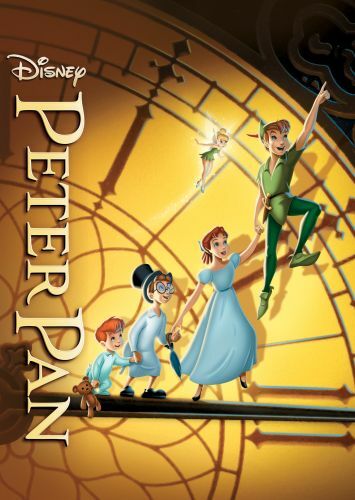 A pet project of Walt Disney's since 1939, this animated version of James M. Barrie's Peter Pan reached full fruition in 1953. 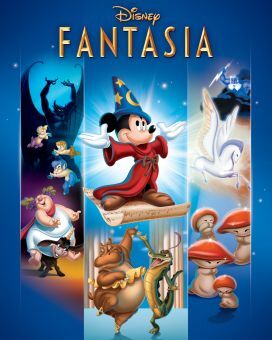 Eschewing much of Barrie's gentle whimsy (not to mention the more sinister aspects of the leading character), Disney and his staff fashioned a cheery, tuneful cartoon extravaganza, which cost $4 million and reaped several times that amount. The straightforward story concerns the Darling family, specifically the children: Wendy, Michael and John. 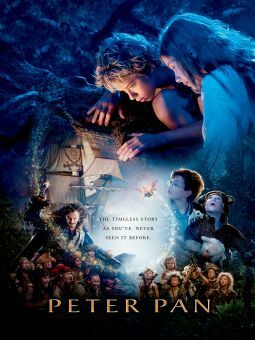 Wendy enjoys telling her younger siblings stories about the mythical Peter Pan, the little boy who never grew up. One night, much to everyone's surprise, Peter flies into the Darling nursery, in search of his shadow, which Wendy had previously captured. Sprinkling the kids with magic pixie dust, Peter flies off to Never-Never Land, with Wendy, Michael and John following behind. 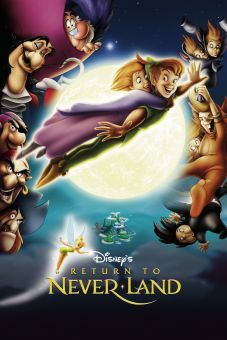 Once in Peter's domain, the children are terrorized by Captain Hook, who intends to capture Peter and do away with him. 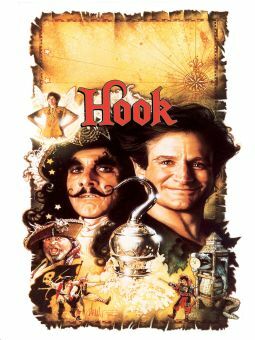 After rescuing Indian princess Tiger Lily from Captain Hook, Peter must save the children, not to mention his own "Lost Boys," from the diabolical pirate captain. In addition, he must contend with the jealousy of tiny sprite Tinker Bell, who doesn't like Wendy one little bit. 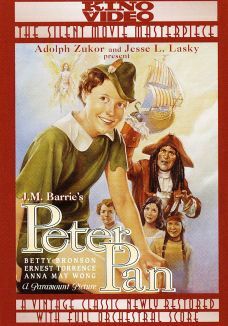 Breaking with several traditions, Peter had been played by a girl in all previous incarnations, Tinker Bell had always been depicted by a shaft of light, etc ... this "Disneyized" version of Peter Pan may not be authentic James Barrie, but it has never failed to enthrall audiences of all ages. 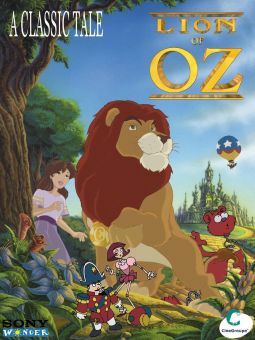 Adding to the fun are the spirited voiceover performances by Bobby Driscoll (Peter), Hans Conried (Captain Hook and Mr. Darling), Kathryn Beaumont (Wendy) and Bill Thompson (Smee), and the sprightly songs by Sammy Cahn, Sammy Fain, Ollie Wallace, Erdman Penner, Ted Sears, Winston Hibler, Frank Churchill and Jack Lawrence.